The price of a throwaway society: What happens to our rubbish? Are you finished with that bar of chocolate? Throw the wrapper in the trash. Broken knick-knacks in your cupboard? Straight into the bin. Cables, coffee cups and cassettes. Anything and everything we don’t need anymore eventually finds its way into one form of waste disposal or another. But what happens to trash when it’s swept, thrown and wheeled away from our households, never to be seen again? I suppose we are all accustomed to a very 21st century way of living. We buy items every day, most of which are wrapped in packaging that needs to be disposed of. Thousands of us scrap sandwich and coffee containers on a daily basis. We throw out older items that no longer work and clothes that have developed holes. We upgrade our phones, televisions and electronics on a regular basis to keep ahead of tech trends, disposing of our old ones willingly. And we chuck our waste to the curb, like a lazy partner, without any second thought. I suppose we only have ourselves to blame for our throw-away-without-thought lifestyles. Let’s face it, it’s a lot faster to order a new one on Amazon Prime than try to fix, mend, stitch and repair our damaged goods, right? Our societal disconnect with the goods we consume and those we discard is at the core of some of the most damaging effects that humankind has upon the planet we inhabit. I see waste management (rather, lack of proper management) in the same light as animal agriculture. The less you know, the less you care. The more you know, the more insight you have and the more you become concerned about the current state of affairs. Almost half a million tonnes of ‘recycling’ was burned or sent to landfill last year due to contamination or improper sorting, a quantity that is rising every year. 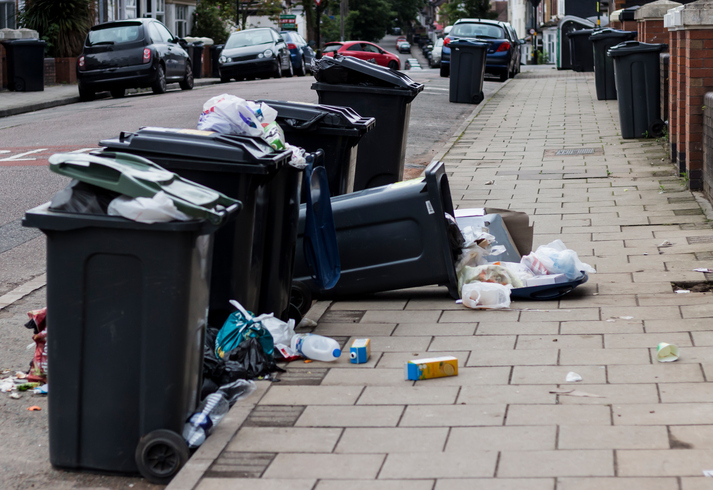 Recycling in the UK has plateaued at 44.2%, despite government aims to increase this proportion to 50% by 2020. 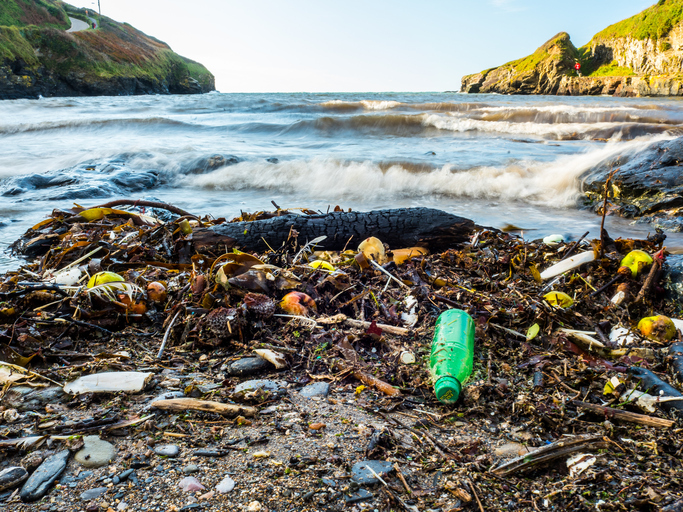 8.3 billion metric tons of plastics have been produced since the 1950s – enough plastic to cover every inch of the UK ankle-deep more than 10 times. Of this, a staggering 79% has ended up in landfill or the environment. Only 9% of globally-produced plastic has been recycled since production boomed in the ‘50s. You step out onto what can only be described as a mass of human, man-made detritus, amalgamated in soil and studded with plastic bags, cans and old nappies. Beneath your feet you crunch on bottle tops, coffee cups and packaging. Rising up from the ground upon which you walk, there is a heat, and a noxious, nauseating gas that strikes your nostrils and takes you aback. Looking up at the brown mosaic-like environment that stretches out before your eyes, miles and miles are littered with old toys, food packaging, paper and broken glass. There’s no end to the sordid, tangled mess of waste as you look around you. Diggers and bulldozers compact the mangled soil as much as they can, and reality starts to sink in. This is the future. Landfill sites have been the world’s dumping grounds for far too long. It has become increasingly apparent that we can’t just bury our heads (and our trash) in the sand. 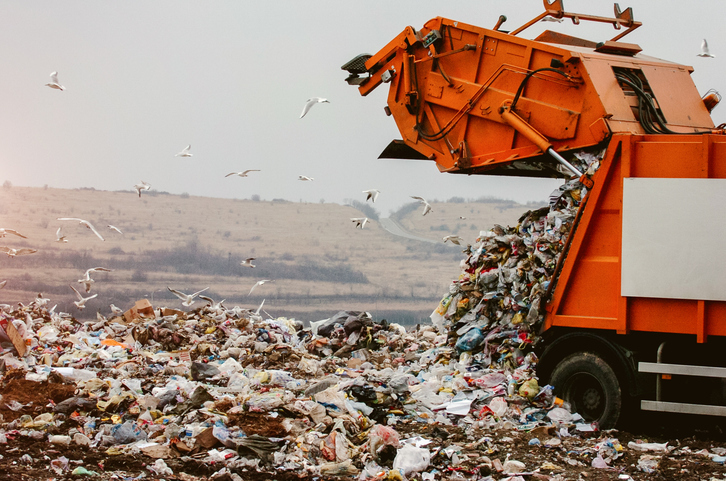 Estimates place landfill as being the disposal method of choice in the early 21st century, with around 90% of our waste going to landfill in 2009. Since then, massive government-led waste taxes and clamp-downs have reduced landfill use to just around 50% of our total waste. This is a vast improvement and a glimmer of hope for environmentalists, but the use of landfill still remains. There are fears that incineration will become the next most popular option for waste destruction, but this also ensues a toxic concoction of lethal gas production. It seems we are stuck between a rock and a hard place. A recent BBC documentary startled and disturbed me. Reggie Yates: A Week in a Toxic Waste Dump was a stark exposé into the underground, and often unmentioned world, of e-waste management and electronic goods recycling methods used by many countries, including the UK. I sat there, horrified, as boys and men as young as 16 exposed themselves to poisonous gases, burning old electrical goods to extract the metals lying under plastic shells and encased in synthetic materials, to sell for a matter of pence to recycling merchants. Needless to say, I vowed to hold onto my e-goods for the long run. The documentary focuses on Ghana, which seems to be the UK’s hot-spot for dumped electrical goods. We ship thousands of tonnes to foreign, often poorer, countries like Ghana and China every year. On a global scale, 41 million tonnes of e-waste is discarded yearly. Of this, the UK is responsible for 1.5 million tonnes. That’s basically 15 shipping containers worth of e-goods landing in Ghana every single day. What makes e-waste so damaging is the vast amounts of by-products that pollute the soil and rivers, and the people that sort through it. Mercury leaks from old appliances; lead that is burnt pollutes the soils and coats the lungs in a toxic ash; cadmium from batteries finds its way into the water supply, causing organ failure and childhood developmental issues. Electronic waste causes arsenic, zinc and flame-retardants to be found in toxic concentrations in the air, water, and even on the fruits and vegetables at the wholesale market. What’s worse is that many of the products come from supermarkets and UK e-waste recycling schemes which encourage a trade-in of your old laptop/phone etc for a monetary payback. Makes you think twice about upgrading your iPhone. No. Take me seriously here, please. Put simply, plastic is the sworn enemy of the environment, and one of the single most polluting and harmful contaminants in the world. By 2050 it is estimated that there will be a tonne of plastic for every tonne of fish in our oceans, rivers and seas. This doesn’t take into account the millions of tonnes of plastic that are non-recyclable every year. A massive 79% of all plastic ever produced has ended up in landfill, with only 9% being recycled. We produce single-use plastics such as bags and bottles that last about 10 minutes in our daily lives, but stay around in our environment for hundreds of years. In fact, every piece of plastic that has ever been made, still currently exists on our planet, in one form or another, today. 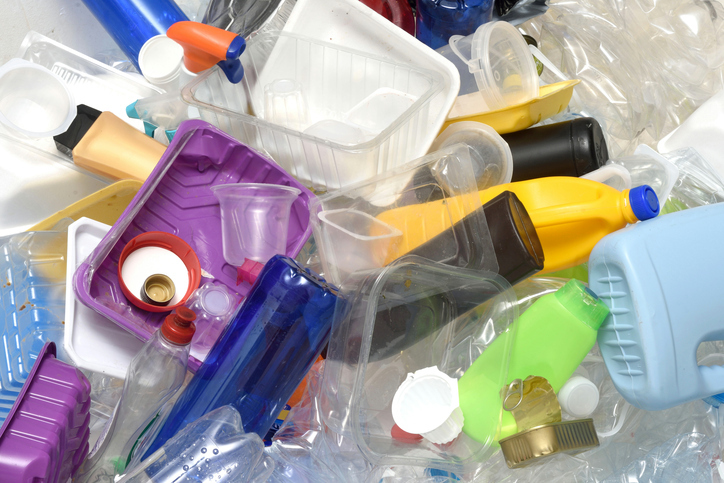 Despite what many may think, plastic can’t actually be fully recycled. Instead, it is involved in a process known as “downcycling”, which uses other forms of plastic to create new, lower-quality forms of plastic used for bags and bin liners etc. Throw into the mix the toxicity of certain types of plastic, the amount of fossil fuels and oil we need to extract (17 million barrels each year just for plastic water bottles – I kid you not! 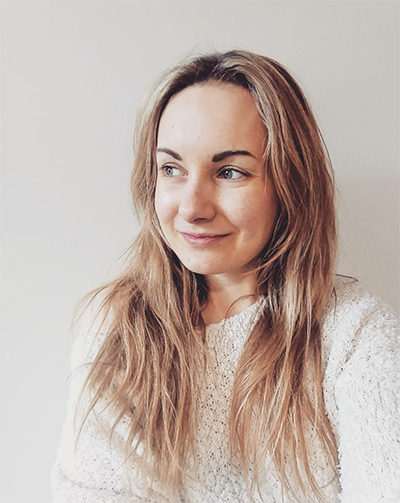 ), the energy required to refine this material and the non-recyclable plastics that are found in nappies, sanitary products and that line your coffee cups, and plastic doesn’t seem like such a wonderful idea. BPA and other chemical components of plastic have been experimentally shown to be absorbed into the body, altering our hormonal signalling mechanisms and leading to complicated health conditions such as infertility. It gives a new meaning to the phrase “bag for life”. It’s easy to be despondent when it comes to these issues facing society. As many will relate, being vegan comes hand in hand with the challenge of facing adversity, while attempting to make an impact upon a world that doesn’t seem to have a moral compass. The generational loss of contact with our environment has resulted in catastrophic wastefulness in an all-out conflict of interest between hedonism and our need for future resources. So what do I propose? Put simply, I encourage us all to reconnect. To slow down. If you think, and really ponder for a second, just who and how and where your waste goes to die, you might find yourself questioning, regretting the consequences of the purchases and throw-away habits that form such a consumable life. Look at your waste bin. How much of that waste did you really need to create? Could you find sustainable alternatives such as a metal coffee cup, repairing that old pair of jeans, or taking your own bags for vegetables at the grocery store? Simple switches, but if everyone employed these strategies, we would all be in one hell of a smaller mess than our current rubbish situation. The ultimate fact remains, the majority of our waste is not dealt with in a long-term sustainable or environmentally sound manner. We are choking our planet, covering it in a pile of non-biodegradable garbage. Seeping toxic matter into our soils, burying it underground, burning it, dumping it into our vast oceans and leaving the most vulnerable communities in the globe to sift through it. Enough is enough.